One would think, during the dead of winter would be the perfect time to read books, instead I prefer to read during summer. 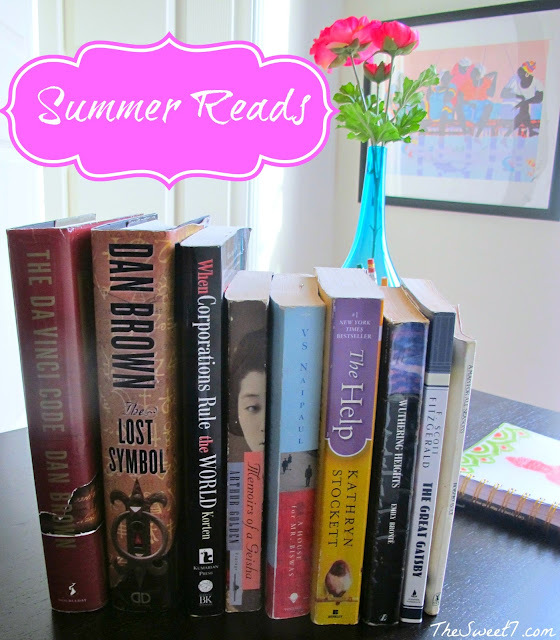 Vowing to read at least five books by the end of summer. Since Spring has just begun, Chimamanda Adichie's "The Danger of A Single Story" got me interested in the Nigerian author's books. Thinking that I'd like to incorporate some of her work into my summer reading list. The issue has become not what to read next but whether to buy an ebook or a "classic" book version. I love to flip through the pages of a classic book. There seems to be a greater physical connection, best expressed by web entrepreneur, designer and novelist Jack Cheng that printed books just offer a more robust experience to the reader. Advice: Save some money and visit your local library. The Miami-Dade Public Library System once offered me a range of services, and though I've joined other community libraries from Vermont to Virginia, neither can compare. I was able to loan not only books, but a multitude of movies from M-DPLS. GoodReads is a wonderful site for readers and book recommendations. Talking books, over-the-top directer, Baz Luhrmann's latest adaptation of one of my favorites "The Great Gatsby"starring Leonardo DiCaprio, Carey Mulligan and Tobey Maguire, hits theaters May 10. Luhrmann is known for Moulin Rouge (2001) and Romeo & Juliet (1996). He crafted the The Romeo + Juliet CD movie soundtrack which is one of the best movie soundtrack compilations of the '90s. I loved it! Jay-Z will be co-writing the original musical score and wifey, Beyonce has a tech infused cover of Amy Winehouse for the film directed by Baz Luhrmann. I can't wait!